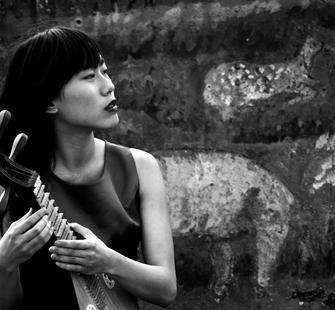 Tsai Hui Ya is a Kaohsiung, Taiwan-based multi-instrumentalist and educator. While studying Chinese Music at Tainan National University, Hui Ya was ranked as the top Liuqin player in Taiwan’s National Student Competition. After graduation, Hui Ya toured extensively within Taiwan as a member of numerous ensembles, also traveling to other parts of Asia and Europe as a cultural ambassador for Taiwan. Outside of her busy performance schedule, Tsai Hui Ya is an organizer for the Kaohsiung Spring Festival and a music tutor and mentor for aspiring musicians, young and old.